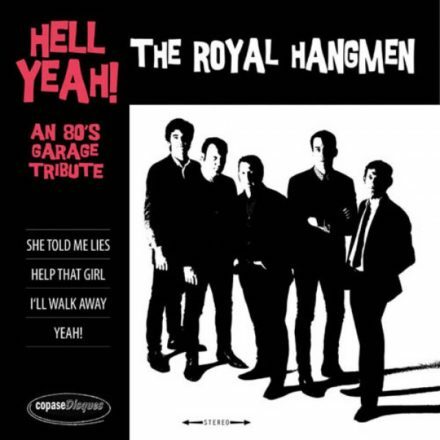 Would anyone still be remembering 60’s garage rock, without the retro bands of the 80’s? Hard to tell. Fact is, that during the era of synth-pop there was also a movement of Vox and Rickenbacker playing mop tops with beatles boots and the same attitude towards the raw and authentic Rock’n’Roll sound of the 60’s. These guys did a lot to resurrect that fab monster sound, coming out of almost every garage in the US and elsewhere. That sound we all really dig so much. Bands like The Miracle Worker, The Fuzztones or The Cynics not only had a lot of great covers of lost gems in their repertoire, they also wrote their own tunes in a similiar vein and extended the original sound somehow. But more important, they infected another whole new generation with this poison-green garage virus So, it’s definitely time to pay tribute to some of the protagonists. 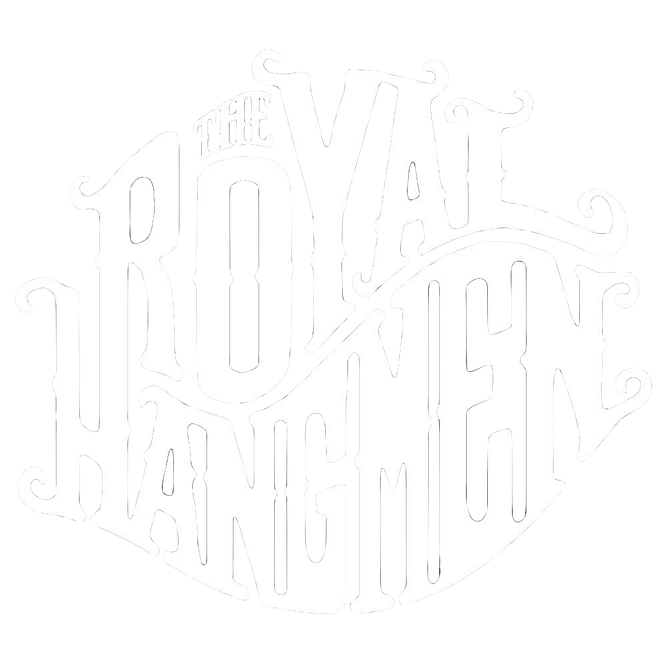 That’s exactly what The Royal Hangmen had in mind with their new EP ‘Hell Yeah! An 80s Garage Tribute’. Here they present four covers of their most beloved 80’s garage tunes, with verve and love for the detail. To prevent these songs from being forgotten and for any future generations to inspire.